Many polyurethane foams offer a wide variety of physical properties, as well as desirable dielectric properties for applications requiring minimal dielectric constant and loss tangent. In many such applications, materials are needed with combined characteristics of good dielectric properties coupled with structural strength, durability, and chemical inertness. Polyurethane foam is subsequently used in a myriad of industries such as aerospace, medical, construction, marine, and composite core. Polyurethanes are a family of versatile industrial materials made from polyisocyanates and polyols, forming a cellular plastic. Polyurethanes are used to make flexible foams, coatings, rigid foams and other materials. The diversity of potential formulations of polyurethanes allows for an expansive variety of physical characteristics for use in a myriad of applications (see Table 1). At General Plastics, we focus on specialized flexible and rigid products that are close celled, non-absorbent, antimicrobial materials often used in applications where low weight, high strength materials are advantageous. Table 1: Industry needs and applications where polyurethane plastics are used. It is important to note that not all materials perform well in all applications requiring dielectric materials. Desired properties should be known before using any material in a given application. Image 1: Representation of materials polarized in the presence of an electromagnetic field. The standard test method for measuring the dielectric constant of polyurethane foam is ASTM D2520, which tests characteristics at microwave frequencies. It involves placing a sample of the material between two capacitor plates and measuring the resulting capacitance. This is then compared to the capacitance of the same plates with air or a vacuum between them. The resulting ratio is the dielectric constant of the material. Another important aspect of the permittivity is the loss tangent (or dielectric loss). As the polarization of a material under an applied electric field varies, some of the field energy is dissipated due to charge migration (i.e. induction) or conversion into thermal energy (i.e. molecular vibrations). This is also sometimes referred to as the dissipation factor due to the loss tangent’s definition as the ratio of the resistive power loss to applied field power within the capacitor. Minimizing dielectric loss as heat is extremely important for many applications pertaining to capacitance and insulating materials. ASTM D2520 also tests for Loss Tangent and is obtained coupled with dielectric constant. There are a variety of materials with dielectric properties used across a number of industries, as described in the introduction. As shown in Chart 1, general trends are based on molecular makeup of the materials. For example, inorganic or metal based materials such as Silica, Titanium dioxide and materials with high water content, have high dielectric constants that are not suitable for use in applications where insulation is needed. This is due to high interaction with electromagnetic fields, leading to many undesirable effects. Also, materials with high loss tangent (>0.002) may dissipate heat at a rate that renders them unusable, as well. Below is a general reference to represent values for commonly used materials measured at 1 GHz. 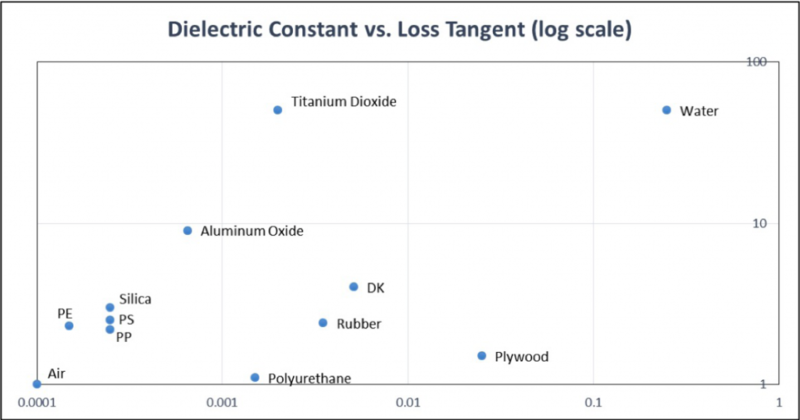 Chart 1: Loss tangent vs. dielectric constant data for a variety of common materials. The most common application of polyurethane foams as dielectric materials is in the construction of radomes. Radomes are structures that form a protective cover between an antenna and the environment with minimal impact to the performance of the antenna inside. Safety, security and reliability are imperative features of communication, telemetry and radar systems. 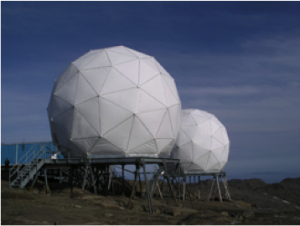 For such demanding applications, radomes serve a variety of functions, including outdoor protection from wind, rain, snow, hail, sand, insects, UV damage and temperature fluctuations, all of which can impact an antenna’s ability to function properly and optimally. Polyurethanes are also used as composite materials in aircraft and as protective structures on leading edges of aircraft radomes to protect from erosion damage while ensuring proper signal from the aircraft antenna. 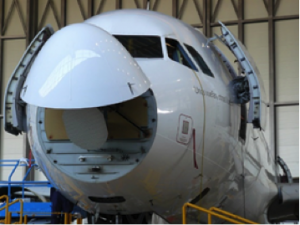 Polyurethanes are especially useful in aerospace applications where functional, lightweight materials are imperative. In all radome applications, polyurethane foams offer an effective solution for cost effective materials that are both versatile and robust. Easily optimized material allows for high performance with low dielectric interference. Polyurethanes are useful in many other applications where low dielectric constant and low heat loss are necessary or desirable characteristics. Such applications include structural support, spacers and housings, electronic modules and radio or microwave frequency devices. Structural – The inherent strength of polyurethane products at a variety of easily controlled densities makes them useful as spacer materials in antennas, housing material for instruments, as well as general structural support in a myriad of other applications in the aerospace, defense and technology industries- where the use of dielectric materials may also be useful in application optimization. Antennae – Choice of dielectric material is critical for correct design of all antennas. Using materials with appropriate dielectric constant is paramount because as the dielectric constant of the material changes, the antenna resonant frequency will also change. For many antennas it is critical to have consistent dielectric materials for both optimization and consistency of construction. Polyurethane has the added advantage of coming in both rigid and flexible forms, both of which often have low dielectric constants, useful in radio and microwave frequencies. This makes them ideal for applications such as in conformal antennas, where the material must be applied around a radius. Microelectronics – Non-foamed polyurethanes are often used as “potting compounds” in electronics, where they are used to seal and insulate fragile and sensitive microelectronic components. These polyurethanes are formulated to be useful in a varying degree of physical, thermal and electrical environments. They provide dielectric properties, as well as high resistance to water, chemicals, temperature fluctuation, and many other potentially destructive forces. General Plastics Manufacturing Company has been manufacturing flexible and rigid polyurethane materials, aircraft assemblies, molded parts and other specialty foam products for over 70 years. Our LAST-A-FOAM® closed- and open-cell polyurethane foam products provide versatile solutions in the aerospace, defense, nuclear, construction, marine, and tooling & molds industries stemming from chemistry-based solutions and a commitment to excellence and quality. As a leader in the world of polyurethane materials, General Plastics has experienced rapid growth in the industry, while continuing to provide excellent service and technical support with an unmatched focus on highly specialized foam products. Three series of rigid polyurethane foams were tested for dielectric properties relevant to many electrical and antennae applications. 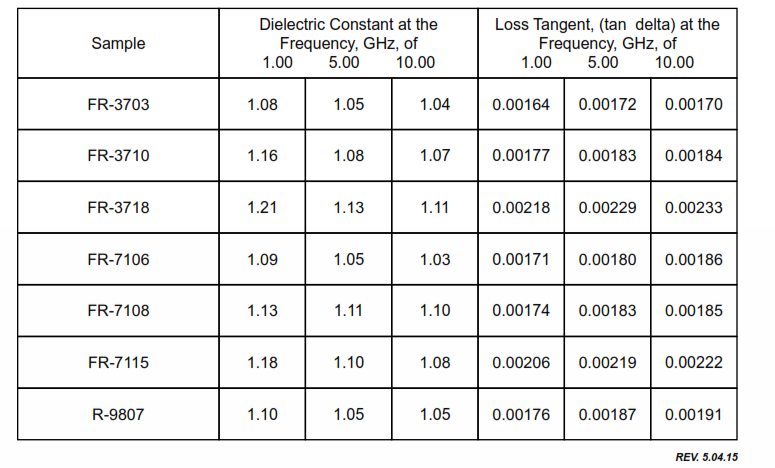 All materials tested had a dielectric constant between 1.03 and 1.21 for frequencies between 1 and 10 GHz (see Table 2). For a polyurethane foam system, the dielectric constant may vary with temperature, density, frequency, and inorganic filler composition. For this reason, dielectric constants for a variety of materials shown below were tested. In general, the dielectric constant increases minimally with density and is known to increase with higher temperatures. All loss tangent was between 0.003 to 0.030 at frequencies between 1 and 10 GHz. At ambient temperatures, loss tangent (in most cases) increases proportionally with frequency, though this is only minimally observed within the frequency range tested. Loss tangent data shows the abilities of General Plastics polyurethane foams to perform well under a range of applied microwave frequencies without significant heat loss. When compared to data from other commonly used materials (see Chart 1), such as aliphatic polymers polyethylene (PE) and polypropylene (PP), polystyrene (PS), rubber, and plywood, LAST-A-FOAM® products have a comparable loss tangent data with significantly lower dielectric constant. General Plastics has a wide variety of polyurethane foams that may be used as dielectric materials. Presented in Table 2 are probable candidates for such applications. LAST-A-FOAM® FR-3700, FR-7100 and FR-9800 products may be used as a core material for constructing durable, weatherproof radomes are impervious to moisture and almost transparent to radio signals. They protect marine, aerospace and land-based microwave antennae. Their high Tg also suits prepregs that cure at higher temperatures. Further information about General Plastics Mfg. Co. LAST-A-FOAM® products, flexible foam dielectric data, and general inquiries can be found on our website at www.generalplastics.com. *Test conducted at room temperature by California Institute of Electronics and Materials Science. Values were tested to ASTM D2520, Method B. Envrionment conditions: T-22° C, RH=39%, P+101.6 kPa. Table 2: General Plastics Mfg. Co. polyurethane foams tested for dielectric properties. Ahmad, Z. (2012). Polymer Dielectric Materials, Dielectric Material, Dr. Marius Alexandru Silaghi (Ed. ), ISBN: 978-953-51-0764-4, InTech, DOI: 10.5772/50638. Lee, H.S., Lee, A., Baek, K., Hwang, S.S. (2012). Low Dielectric Materials for Microelectronics, Dielectric Material, Dr. Marius Alexandru Silaghi (Ed. ), ISBN: 978-953-51-0764-4, InTech, DOI: 10.5772/51499. Bur, A. J. (1985). Dielectric properties of polymers at microwave frequencies: a review, Polymer, 26, pp. 963. CRC Handbook of Chemistry and Physics. 93rd Ed. CRC Press: Boca Raton, FL, 2012-2013; pp. 13-17. Griffiths, L. (2008). A Fundamental and Technical Review of Radomes, Microwave Product Digest, featured article May 2008. Skolnik, M. (1990). Radar Handbook, 2nd Ed., McGraw Hill, Boston, pp. 6.44-6.45.